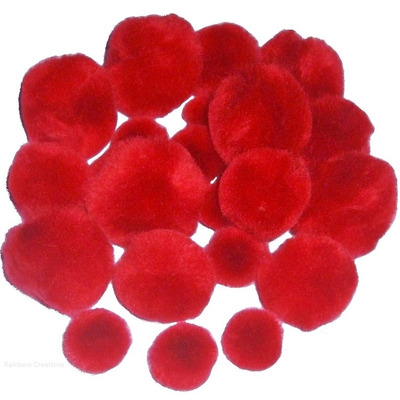 Red pom poms for craft, decoration, sewing and card making. These are soft acrylic poms poms available to buy in a range of sizes to suit different purposes. Supplied in packs of 100 pom poms.